R K Singh was born on 31st December 1950 in Varanasi. He did his M.A. in English literature from Banaras Hindu University in 1972 and Ph.D. from now Mahatma Gandhi Kashi Vidyapath, Varanasi in 1981. 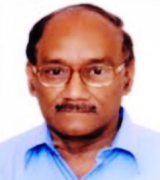 In the beginning of his career, he worked as Compilation Officer in the District Gazetteers Department, Lucknow in 1973 and as a journalist with the Press Trust of India, New Delhi from 1973 to 1974. Then he switched his job and became Lecturer at the Royal Bhutan Polytechnic, Deothang, Bhutan for aperiod of two years. 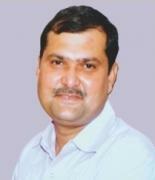 In 1976, he joined the Indian School of Mines in Dhanbad as Lecturer. In 1983 he was promoted to Assistant Professor and Head, and after a decade, he became full Professor and Head of the Department of Humanities and Social Sciences of the same institution. He recently retired as Professor (HAG) from Indian School of Mines (now IIT), Dhanbad, Jharkhand, India. 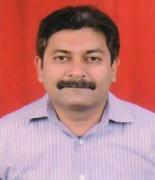 R. K. Singh has authored more than 160 research articles and 175 book reviews. He has published 40 books, including: Savitri: A Spiritual Epic (Criticism, 1984); My Silence (poems, 1985);Using English in Science and Technology (1988; rev. & rept. 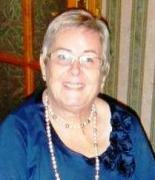 2000; rev. & expanded, 2010; an EST textbook); Indian English Writing: 1981-1985: Experiments with Expression (1987; rept. 1991; ed. Critical essays); Recent Indian English Poets: Expressions and Beliefs (ed. Critical essays, 1992); Two Poets: R.K. Singh (I DO NOT QUESTION) Ujjal Singh Bahri (THE GRAMMAR OF MY LIFE) (poems, 1994); My Silence and Other Selected Poems : 1974-1994 (poems, 1996); Above the Earth’s Green (poems, 1997);Anger in Action: Explorations of Anger in Indian Writing in English (ed. Critical essays, 1997); Psychic Knot: Search for Tolerance in Indian English Fiction (ed. Critical essays, 1998); New Zealand Literature: Some Recent Trends (ed. Critical essays, 1998); Every Stone Drop Pebble (haiku, 1999); Cover to Cover (poems, 2002); Pacem in Terris ( haiku, English and Italian, 2003); Communication : Grammar and Composition (textbook, 2003); Sri Aurobindo’s Savitri: Essays on Love, Life and Death (2005); Teaching English for Specific Purposes: An Evolving Experience (2005); Voices of the Present: Critical Essays on Some Indian English Poets (2006); The River Returns (tanka and haiku collection, 2006); Sexless Solitude and Other Poems (2009); Sense and Silence: Collected Poems (2010); New and Selected Poems Tanka and Haiku (2012);Indian Poetry in English: In Search of Identity (coedited, 2012); I Am No Jesus and Other Selected Poems, Tanka and Haiku (2014), and You Can’t Scent Me and Other Selected Poems (2016), etc. His works have been anthologized in about 180 publications, while his editorial activities extend to include guest-editing of Language Forum, 1986, 1995, and Creative Forum, 1991, 1997, 1998, besides being Co-editor of the latter publication from 1987-90, General Editor of Creative Forum New Poets Series, and service on the editorial boards of various journals and magazines. He has evaluated about 50 Ph.D theses from various universities. Many awards and honours have been conferred on him: These include an Honorary Litt.D. from the World Academy of Arts and Culture, Taiwan (1984), Fellowship of the International Writers and Artists Association, USA (1988), Michael Madhusudan Award, Kolkata (1994), Ritsumeikan University Peace Museum Award, Kyoto (1999), Life Time Achievement Award of the International Poets Academy, Chennai (2009), Prize of Corea Literature Award, Seoul (2013), Nazar Look Prize for Poetry, Romania (2013), Naji Naaman’s Literary Prize, Lebanon (2015), Aichi Prefecture Board of Education Award, Japan (2015), and Extraordinary Ambassador of Gratis Culture, FGC, Lebanon, 2016. His poems have been nominated for Pushcart Prize, 2013 and 2014.